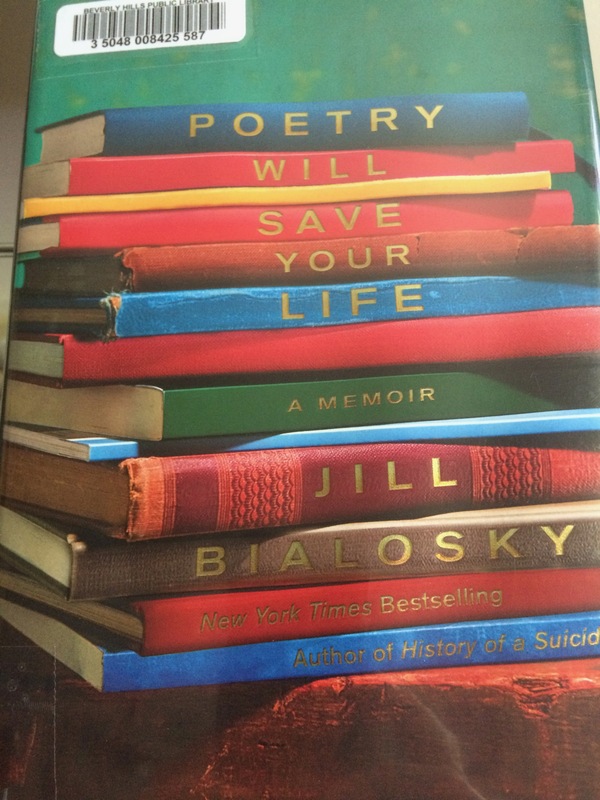 The latest book in my “just read” pile is Jill Bialosky’s memoir Poetry Will Save Your Life. I’m not a huge fan of poetry; a poem either speaks to me or it doesn’t, though I do have a (small) number of poems that touch my soul. And there were several things I liked about this book that I wanted to share with you this week. From a writer’s perspective, I thought the structure was so original. The author shares a moment of time, a memory, an anecdote and then included a relevant poem. 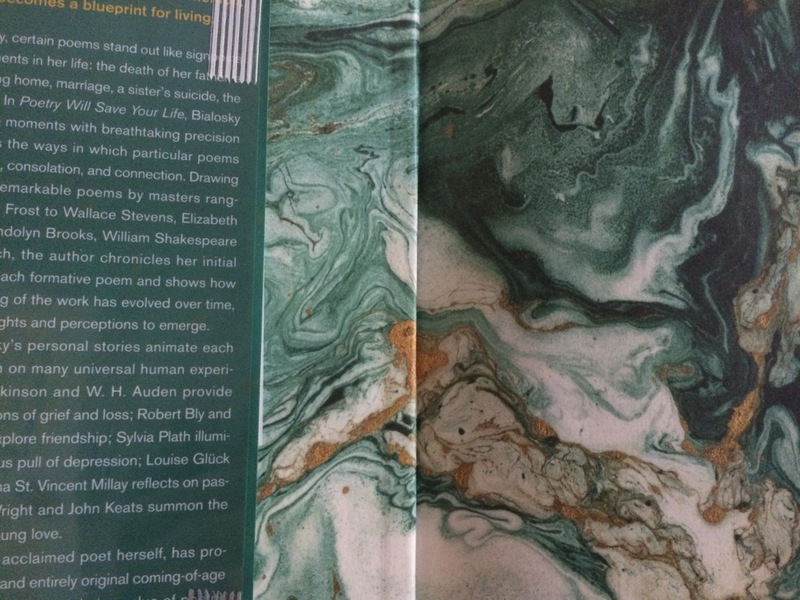 From a book lover’s perspective, I thought the cover was beautiful (see the picture above) as were the front and end pages (see the picture below). Readers, what are your favorite poems? Feel free to share in the comments section! My son is a fifth grader. School started yesterday, which means this will be Ryan’s last year at his elementary school and then it’s off to middle-school. But I don’t want to rush ahead. We have 180 days of fifth grade to experience first. And like in years past, I’d like to share with you memories of my own fifth grade year. 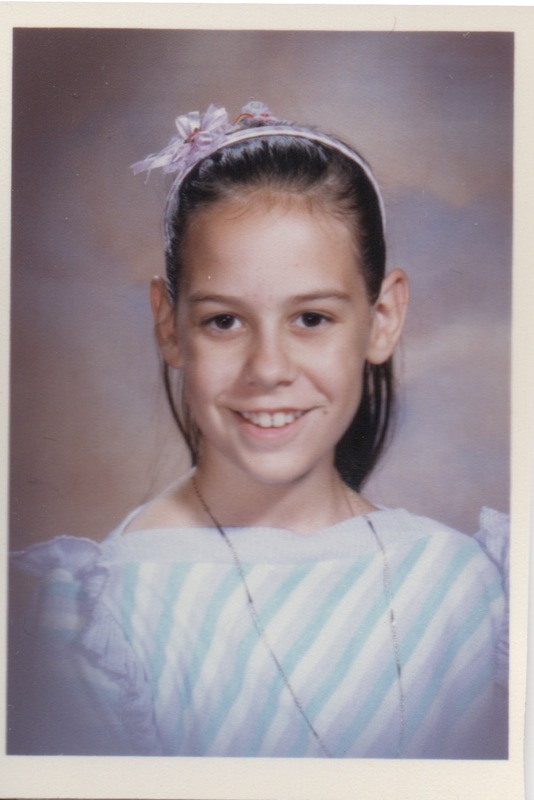 (To remind you, you can click here to read about my fourth grade experiences and click here to read about my life in third grade). I had the same teacher for fourth, fifth, and sixth grades. Ryan has had a new teacher each year. My elementary school went up to sixth grade, so unlike Ryan, at this stage I wasn’t yet looking ahead to middle school. And though I was in fifth grade back in the 1980s, one thing remains the same. All fifth graders are still required to complete the fifth grade physical education fitness test. Unlike Ryan’s school, my elementary school didn’t have a physical education teacher. When I was in elementary school, our classroom teachers took their classes out for P.E. once in a while, usually on Fridays, and usually as a reward for good behavior. We didn’t train and practice for this physical fitness test. Luckily, Ryan’s school has a group of physical education coaches. They have been training for this test since kindergarten, slowly building up the endurance needed to run a mile. And when it comes time for this test, I’ll give Ryan the same words of encouragement I always give him for any test: Do your best. Because really, no matter what grade you’re in, no matter what you’re being tested on, that’s the only thing you can do. 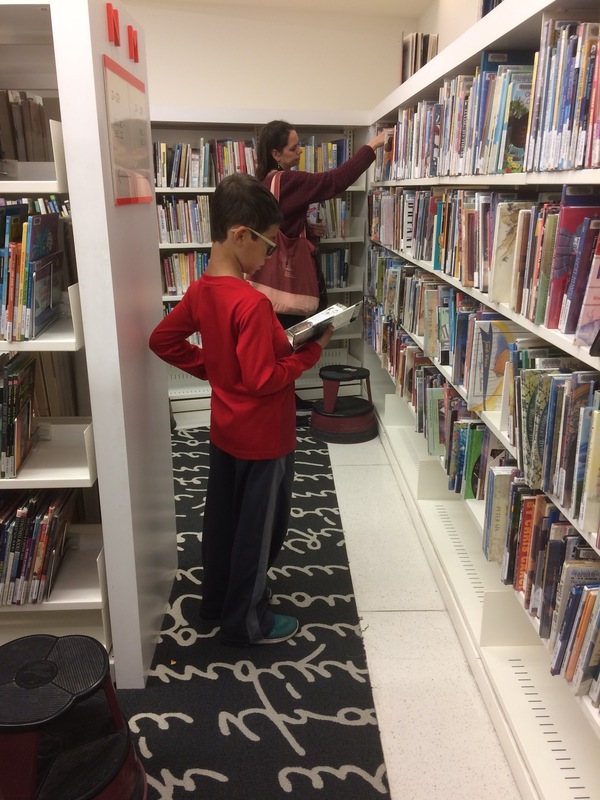 A photo taken a few months ago showing Ryan and I browsing at the library. We’re coming to the end of summer break. In our family that means school resumes next week, as does afternoon homework and a note packed into my son’s lunchbox each day. Our summers usually consist of: one family trip (we were in Santa Barbara and Cambria this year); numerous museum visits (including LACMA, the La Brea Tar Pits and Museum, the Natural History Museum, the California Science Center, the Norton Simon Museum, the Getty Center, and the Skirball Cultural Center); and lots of reading. My ten-year-old son just completed the reading log required for the public library’s summer reading program. We never tell Ryan what to read, or insist he sit down and read each day. He just reads. Sometimes alone, sometimes together — on our patio, on our couch, at our local Coffee Bean. And looking over his list of books makes me smile. Ryan read about LeBron James and King Tut. He read joke books and books based on Pixar films. He read about Katherine Johnson and Buzz Aldrin. He read about Michael Jackson and Stevie Wonder. He read about Nintendo’s Mario and Curious George. It’s been a good summer. Three sets of legs, three different skin tones. One family. I am the mother of a ten-year-old son. 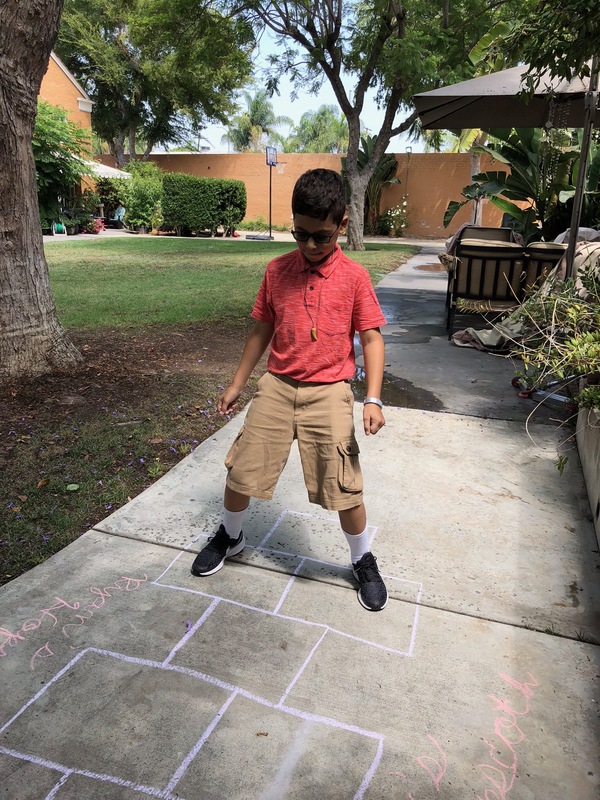 I am the mother of a bi-racial, ten-year-old son.